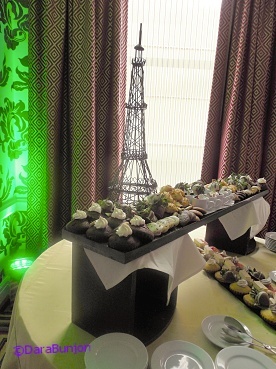 There were lots of ooh-la-las at the grand opening the Hotel Monaco’s Paris Ballroom. This makes the third ballroom for the historic building, taking special events space up to 9,500 square feet. Weddings, bar or bat mitzvahs, rehearsal dinners, corporate events, fundraisers all enjoy the beauty of this building - let’s not forget the grand marble staircase that is so breathtaking.